LoRaWAN™-based Internet of Things (IoT) deployments are global and the number of deployments continues to increase yearly. 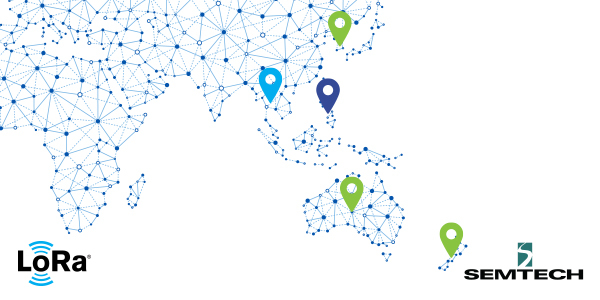 In 2019, 40%* of all low power, wide area networks (LPWANs) are predicted to run on Semtech’s LoRa® devices and wireless radio frequency technology (LoRa Technology), and LoRaWAN-based networks are present in approximately 100 countries today. In the Asia Pacific region specifically, experts anticipate the number of all IoT-connected devices will jump from 3.1 billion in 2015, to 8.6 billion in 2020. Some recent innovative LoRa Technology use cases from this region are featured below. LiveCare is a LoRa-equipped bio-capsule developed by SK Telecom which is implanted into a cow’s gastrointestinal tract to monitor a variety of health indicators. The LiveCare device is shielded from environmental tampering by its strategic position inside the cow itself. Ranchers can check the data transmitted from the devices for anomalies in a cow’s body temperature and other vitals to detect the onset of disease, estrus and to forecast delivery of calves. By shielding the herd from disease and better managing their cows, ranchers can bet on healthier cows, resulting in higher quality of milk and meat, and better business outcomes. Kiwi Technology has long been an Asian leader in the field of IoT. Previous LoRa-based smart city solutions from Kiwi have been deployed in Indonesia, Taiwan, Japan, and China among others. Recently, Kiwi announced its collaboration with Precise Digital Economy, Thailand’s largest electricity facilities group, with the goal of developing a smart city network of LoRa-based sensors to better regulate public utilities, including electricity. The network will reduce operational costs associated with maintenance, and help Thai cities use utilities more efficiently. A long-time proponent of LoRa Technology, Australia’s National Narroband Network Co. (NNNCo) recently announced the roll out of a new LoRaWAN-based network to help cotton farmers better reap the benefits of their hard work. Through a collaboration with a major Australian agriculture company, GoannaAg, the expansion adds about three million hectares (7.4 million acres) to NNNCo’s existing network coverage. The network will be used to bring low-cost Cloud-connected sensors and data analytics to growers, utilizing soil moisture data from the LoRa-based probes, local weather data and satellite imagery to optimize irrigation scheduling. Smarter irrigation schedules mean less wasted water and more money in farmer’s pockets. In July of 2018, the Philippines’ leading IoT solution provider, Packetworx, announced its expansion of LoRaWAN-based network coverage in the country with 2,500 new LoRa-enabled gateways. This project was a joint effort with The Things Network, and is expected to bring IoT connectivity to the Philippines for a number of innovative applications – from smart building and city, to industrial applications. Additionally, Packetworx has shown its commitment to the continued growth of the LoRaWAN protocol by launching LoRaWAN Academy programs at 100 educational institutions nationwide. These programs give engineering students first-hand experience with LoRaWAN-based IoT technology, providing them valuable skills which make them attractive candidates to future IoT employers. In 2016, New Zealand’s KotahiNet teamed up with LORIOT to bring LoRaWAN-based network accessibility to half of the country’s population. Originating in the country’s capital of Wellington, the network is used for a range of applications, from automatic weather notifications for farmers, to tracking of lost boats and stolen beehives. In an unique use case, New Zealand-based EcoNode utilizes the network to assist in conservation efforts of at-risk species. Rather than manually inspecting habitats and traps, LoRa-based IoT devices and the Cloud automatically notify conservationists if species are trapped or threatened – saving time and money. Interested in learning more about the LoRaWAN™ specification and the companies committed to its continued success? 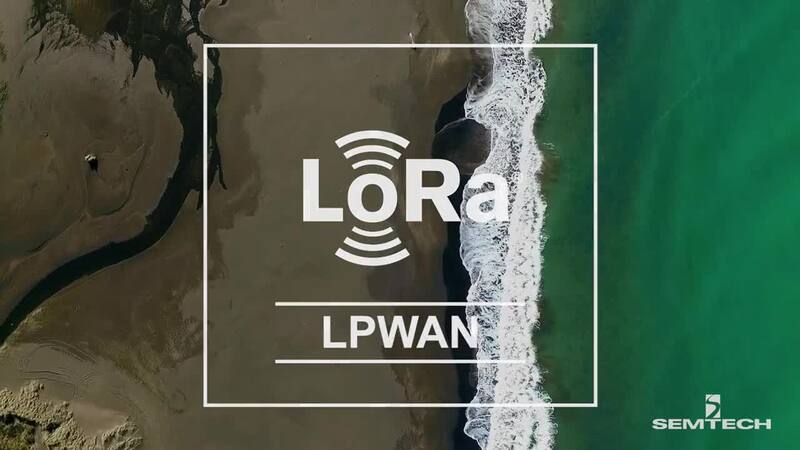 The LoRa Alliance™, an association of more than 500 member companies, supports the interoperability needed for LPWA networks to scale, making LoRaWAN the premier open source technology solution for global LPWAN deployments. Visit the LoRa Alliance’s website for more.